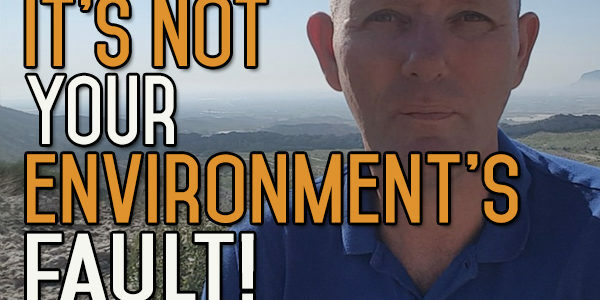 How is your environment responsible for your decisions? They are your decisions! Can your environment motivate you to drink? 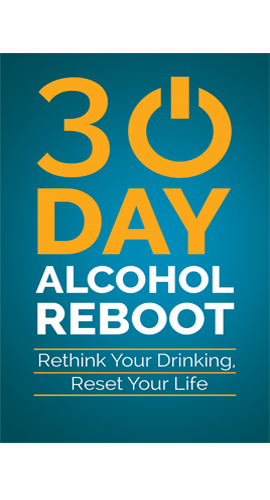 Can it encourage you to drink? Of course not… It cannot influence you, it cannot force you, make you, bully you, or dragging kicking and screaming to the pub… Drinking is your decision and your decision along… Own it! 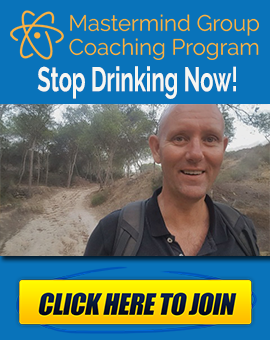 If you want to quit drinking, make the decision now… Decide! Take responsibility….100% responsibility… If you choose to carry on drinking, that’s your choice, that’s your decision… Own it is well! Today’s topic is to stop blaming your environment, take 100% responsibility for what you’re doing, take charge. There are plenty things in your environment that you can’t control and you never will be able to control. You can’t control that the alcohol industry is pumping out millions of bottles of alcohol every single week. You can’t control the fact that there’s alcohol advertising everywhere. You can’t control the fact that there will be pubs down your street, that there will be liquor stores selling the stuff, and it’s all legal. 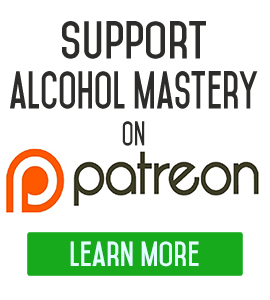 You can’t control the fact that your friends and family drink alcohol, that your spouse might drink alcohol, that when your kids grow up, they too might drink. These are things that are outside your control. You can influence a lot of these things, like being the person that your kids look up to. Not only have you got to not drink, you have to make your life into a better thing, you have to be a better example than the guy that drinks. It takes a lot of responsibility. But there are certain things in your environment that you can control, either by controlling them directly like in your home, your car, your office, you can get rid of the alcohol from your home if your partner doesn’t drink. You can ask them to keep the alcohol to a certain room. There are a lot of things you can do in your own environment. Most of the control will come directly from your own brain. There’s so much that you can control by just avoiding it. Don’t go to the pub. Don’t go to the liquor store. You don’t have to go to these places. When you go to the supermarket, you can avoid the liquor aisle, but it all comes down to your head. If you let these things bother you, then your environment will be a bit more of a challenge than it would be if you didn’t let these things bother you. Once you get into these things, they will bother you less and less. I can go into the supermarket now, no problem. I can walk into a liquor store and buy a couple of cans of non-alcoholic beer. It doesn’t bother me that I’m surrounded by alcohol because I know I don’t drink that stuff anymore. I’m not putting that stuff into my body anymore, that’s it, period. But at the beginning, it can be quite difficult because that’s what you’re used to doing. So it’s a question of breaking down the rituals. The ritual of walking into a liquor store, and this is what you do. You order a certain drink every single time. 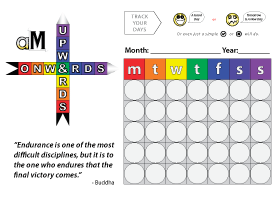 Break the thinking first, then the rituals, then the behaviour. And then eventually, you break the habit. Another part of this is boredom. Your boredom is completely under your control. If you’re bored in certain circumstances, change them. If you’re bored with a certain thinking, or people, then change them. A lot of boredom is environmental, whether it’s the environment or the people you’re in, or maybe you’re just focusing on your boredom. You’re not a child anymore. Get up and do something differently. Boredom comes from the inside. It’s a state of mind; you either allow it or you don’t. You can’t say ‘I’m bored without drinking’, what kind of life is that if you rely on taking a toxic substance just because you feel bored? What kind of life is that for you to have? It’s not any type of a life, is it really? When I was drinking, most of the time it was to try and fill the void, to kill the boredom of not knowing what else to do. I got into a routine of doing this thing. I was trying to fill the dullness of my off-work existence. When I was working, I worked hard, and I knew what I was doing. But then, when I wasn’t working, this was what I used to do, drink to take away the dullness. So you’re dulling the dullness by drinking to get dull. It’s no wonder your life goes around in a circle and ends p drifting downwards into this dull, boring version of someone you thought was exciting. We all start drinking because we think people look excited when they drink. It loses its shine after a while. It just goes downhill from there. I can’t believe I did 35 years of drinking alcohol. The last 4 1/2 years, I’ve been so completely different. I still get bored, but you have a choice whether you want to be bored or not. Boredom is a part of your thinking and your environment and it’s up to you to do something about it. I’m going to leave it there because I’ll keep rambling. If you have any topics for videos, leave those as well. Give us a shout. Send me an email with suggestions. Come on over to the website if you’re just starting out and you need help. We have the Quit Drinking starter packs, which have a couple of bits and pieces, leave your email address and we’ll send it over to you. Take care, and keep the alcohol out of your mouth. Thank you so much for putting your life experiences online for all of us trying to get off this poison. I quit for 6 months last year and relapsed just because I could. Now, I have had enough, and if I don’t stop I will probably kill myself. I’ve been waking up with terrible bruises that I cannot explain, and am sure it will only get worse. A fee nights ago I looked for some inspiration on YouTube and found your videos. Haven’t had a sip since 3 days ago. Everyone I want to buy a bottle, I just watch one of your videos, and that stops me. Thank you so much again, glad you found the right track!